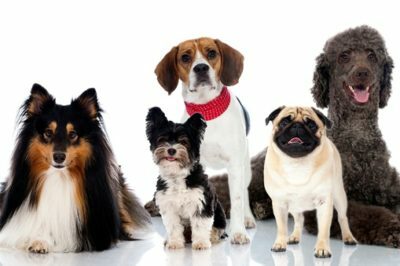 From a small Chihuahua to a huge Great Dane, there are various breeds of dogs that differ in size, exterior, nature, color, hair length and many other traits. The first breeds of dogs were born after the initial taming and nowadays there are about 800 of them, out of which 400 are acknowledged by the FCI, while the entire dog population on Earth counts more than 40 million. Having in mind that that each breed originates from a single species, scientists explored different breeds in order to determine how evolution affected each of them. Even though a dog is one of the most diverse species of mammals, it is certain that all the breeds originated from the grey wolf in Central Asia. It is also assumed that only one wolf had been tamed, and that it fathered all the tamed dogs we know today. Archeological discoveries tell us that this happened at least 10,000 years ago, while some scientists claim it happened 14,000 years ago. 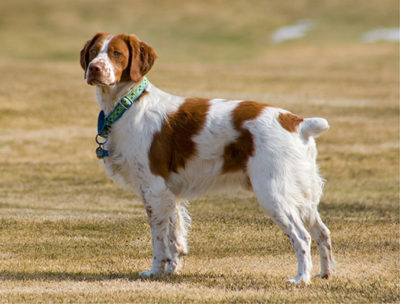 What all the breeds have in common is the mutual ancestor whose height was around 55 cm, with hair of a medium length, straight ears, short muzzle and a fluffy tail. 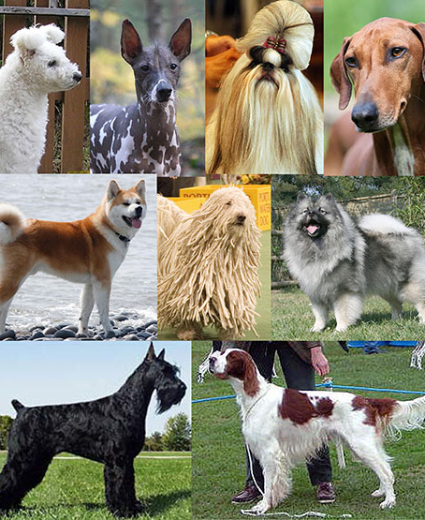 Nowadays, we can divide all the breeds into 10 categories according to the FCI standards, and they are: sheepdogs and cattle dogs; Molossers and Swiss Mountain Cattle dogs, Pinscher and Schnauzer, Terriers, Dachshunds, Spitz and primitive types, Scent hounds and related breeds, pointing dogs, Retrievers – Flushing dogs, Water dogs, Companion and Toy dogs, Sighthounds. People have worked on crossbreeding for centuries, until effective breeds were born which could help people in various activities. 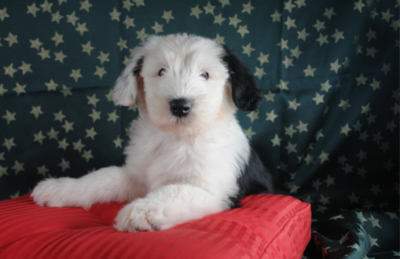 Today, different breeds allow people to choose their desirable pet by their specific traits. The most popular breed in our region, and generally all around the world is the Golden Retriever, also known as the family dog. Whatever breed might be your choice, make sure you are well informed about its nature and characteristics. One thing is certain, dogs are constantly developing, and there will always be new breeds of dogs, we just have to wait and see what their nature and looks will be like. Previous article From A Cocker Spaniel To A Poodle: Four Dog Breeds Ideal For Children! Next article How Do Service Dogs Help People With Epilepsy?